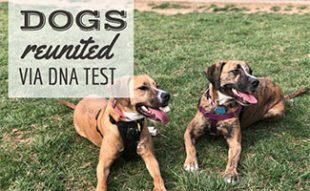 Home > Training > Breed > Embark Dog DNA Test Reviews: Is Your Mixed Breed A Mystery? Embark Dog DNA Test Reviews: Is Your Mixed Breed A Mystery? Have you been pondering giving your dog a DNA test but heard that they’re unreliable? You’ll be happy to know; that’s not the case with Embark’s newest at-home dog genetic testing kit. Thanks to recent scientific advances, Embark now offers the most accurate at-home dog DNA test available on the market — for breed identification AND genetic health risks. What Does The Wolfiness Score Mean? 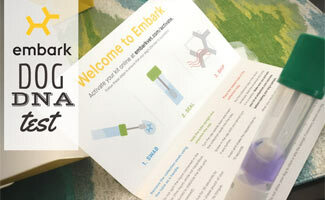 Embark is celebrating DNA Day and offering Canine Journal readers $30 off their Embark DNA Kit with Code: CANINE30 through 4/25/2019 at 12 AM when purchased directly from Embark's website. Just use this link to get started. What Did We Discover With Our Dog’s Embark DNA Test? Michelle, the founder of Canine Journal, had the opportunity to try this test out on her rescue dog, Bella, thanks to a free sample from Embark (this did not bias our review). Previously, she had tried another DNA test on Bella using Wisdom Panel but was very disappointed in the results. Below is her testimonial. They said she was a mixed breed Pit Bull/Bulldog, with no signs of Labrador Retriever. However, for anyone that has ever met this dog, she is a lab through and through. Mixed breed? Yes. But no Lab at all? No way! We were very surprised and felt a little like we had wasted our money on the Wisdom Panel test. Embark on the other hand gave more accurate results with the majority being Pit Bull and Labrador Retriever and some minor genes for Chow, Husky, Golden Retriever and “Supermutt.” In other words, I would’ve paid for this test to know her true genetic makeup the first time around had I known (and had it been available when I did the first test). Sure, it’s more expensive but better than throwing away money on a test that was only partially accurate. Embark also surprised me by sending health-related genetic markers for Bella. Per her DNA reading, Bella is not at-risk for any genetic concerns, but she is a carrier for Progressive Retinal Atrophy (PRA) and Progressive rod-cone degeneration (PRCD Exon 1) which are both eye conditions. She is spayed so this will not be passed along to future generations, and we can rest assured that she should continue to be healthy – hooray! The test process is the same for both companies (cheek swab and mail in the sample). The waiting period is slightly longer for results with Embark (2-4 weeks with Embark vs. 2-3 week with Wisdom Panel). The price is higher for Embark ($80 for Wisdom Panel vs. $200 for Embark). However, if I am spending the time and money to get a DNA test for my dog, I would rather have a more accurate result. So, if I had to do it again, I would pay the extra cash for Embark, especially since it also provides health concern information, too. What Does Embark’s “Wolfiness” Score Mean? Bella got a high wolfiness score of 3.1% (most dogs score 1% or less). Does that mean she’s part wolf? No, but she has inherited more wolf genes than many other dogs. A wolfiness score below 10 doesn’t mean your dog is a product of a recent dog-wolf mating. Almost all wolfiness scores below 10 are from ancient wolf genes that have been passed down multiple generations — possibly even dating back to 15,000 years ago when people began domesticating wolves. How Does Dog DNA Testing Work? Check out Embark’s video to see how their dog DNA test works and what it can tell you about your pup. Is The Embark Dog DNA Test Worth It? Embark is slightly more expensive than its competitors. However, if you want to know all you can about your dog and feel confident in the results, we believe Embark is worth it. 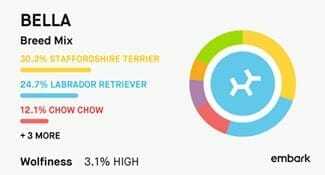 Its genetic health screening is, paws down, the best you’ll find for an at-home dog DNA test (Embark blows other DNA dog tests out of the water). You also get breed identification results from the same DNA test. 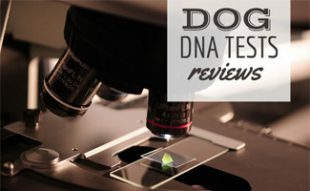 Be sure to check out our Dog DNA Tests Reviews to see how other tests compare to Embark. 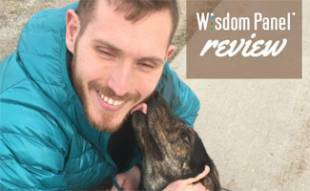 Learn more about Embark DNA in our interview with its veterinary geneticist and also with its co-founder Ryan Boyko. 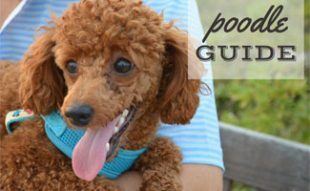 If you genetically test your dog and find that it is predisposed to certain chronic illnesses, you may consider pet insurance. Read our pet insurance comparison to see which company we ranked #1. Have you tried a DNA test with your pup? Learn anything interesting? Embark DNA is a scam! I sent them samples they requested by overnight shipping. It cost me over $150. Then 6 months later I still never heard back whether they processed them. Zero response from their team that was so responsive before I sent the samples. They say on their website they take customer satisfaction seriously but they clearly do not. Please do not support this scam of a company and waste your time/money! Just curious, did you also upload a photo of your dog when you created your Embark account? No, I did not upload a photo of Bella to our account but you can if you want to. Will this test tell us if our feral rescue dog is part cyote? Here is a list of breeds that are tested for Embark DNA. Coyote isn’t a dog breed, so it’s not on the list. You pose a very interesting question! I suggest reaching out to Embark and asking. Let us know what you find out!